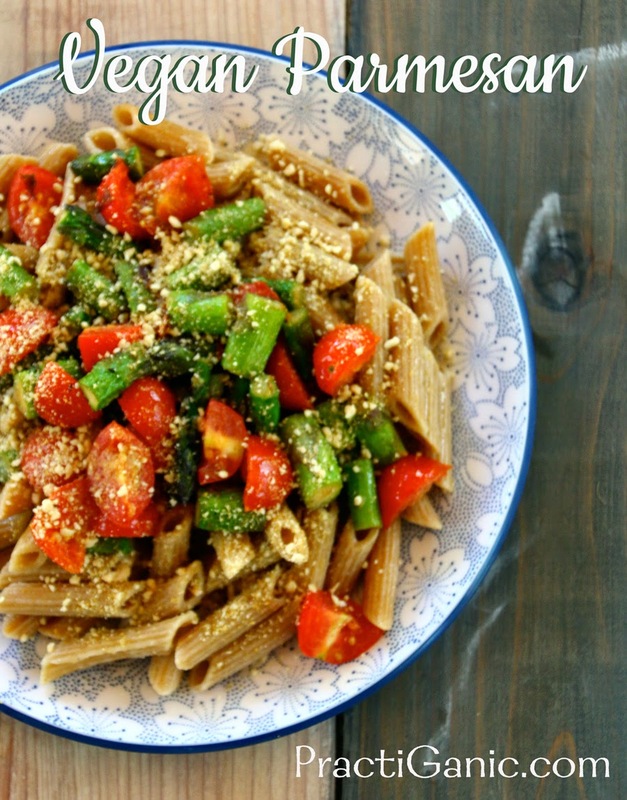 I have posted quite a few recipes that use parmesan cheese and I say to use regular or vegan. I think it's high time that I give you a good recipe for vegan parmesan. Sorry for the delay! At the kitchen I used to work, we joked that vegan parmesan was vegan dust. The store bought vegan parmesan had a really strange smell and taste that I just couldn't get past. It took me awhile to forget the smell and make my own. This one definitely doesn't have the funk. Sorry if you like the store bought stuff! Remember, there are so many substitutes out there. No matter what your food preferences or diet may be you can make any meal fit your liking. Check out my substitutions for a little kickstart on figuring it out. Put all ingredients into a food processor and mix until it is a fine crumble. I've heard of people using macadamia or brazil nuts too.